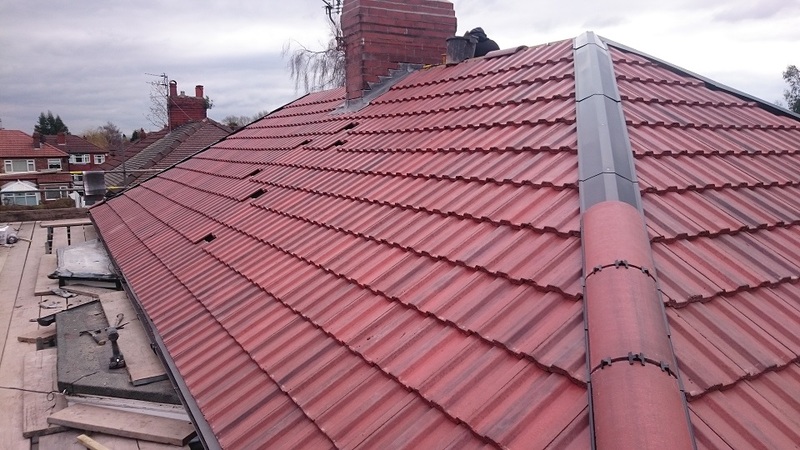 Two Delighted Flute Roofing customers in Timperley. 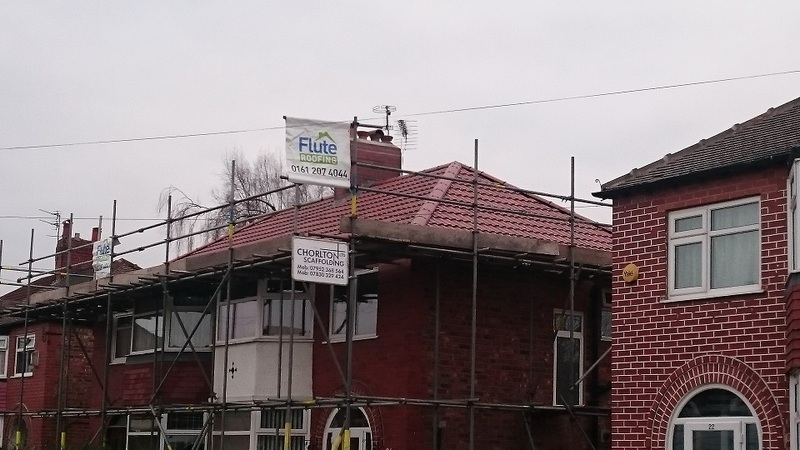 Flute Roofing completed two neighbouring property's on Heath Road in Timperley, leaving two very satisfied customers. This simple job took the team one week to complete over two properties. 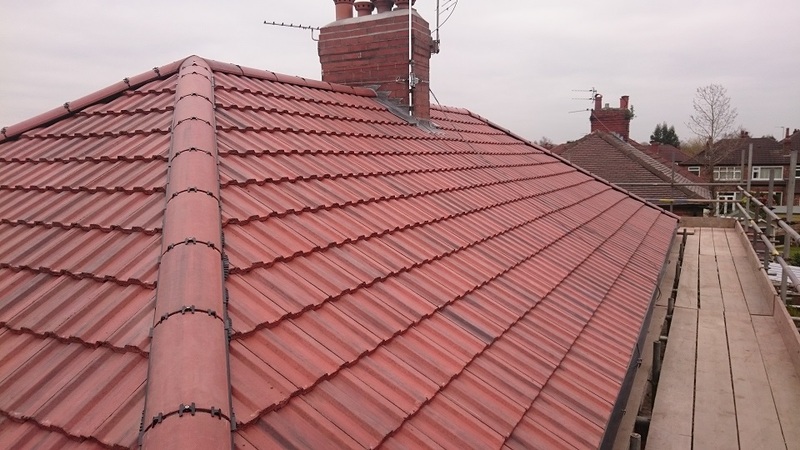 We installed breathable felt, treated battens and replaced all the gutters and lead work around the chimney. 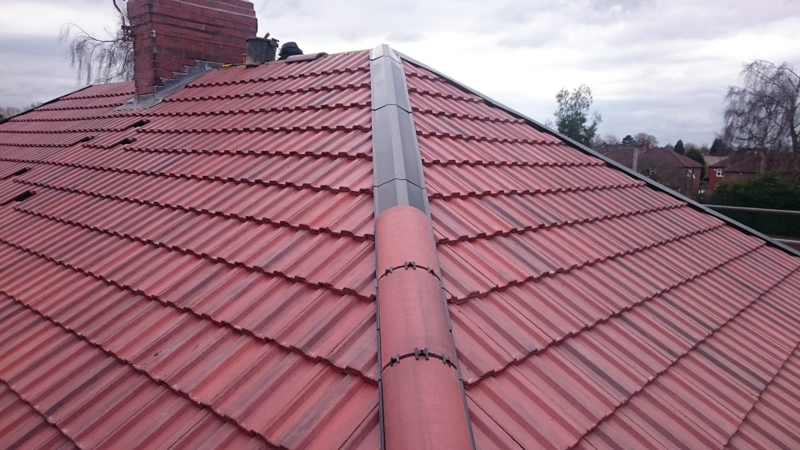 As with all Flute Roofing customers, these customers benefitted from a 10 year insurance back guarantee as well as a Buildings Regulations Notification. 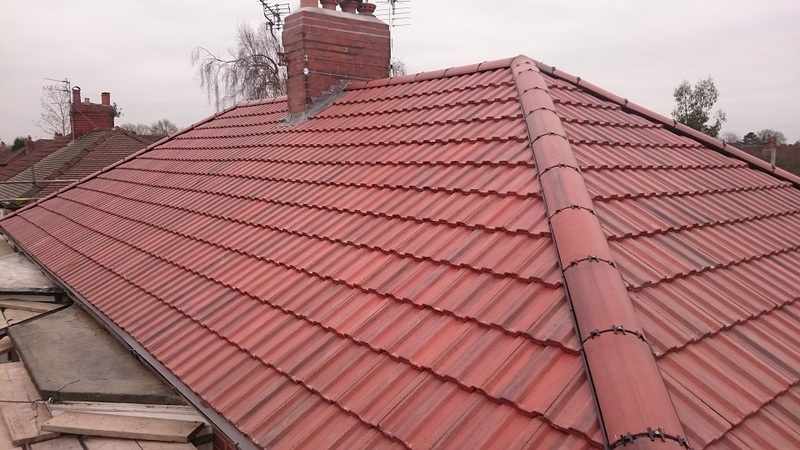 The customers opted for large concrete pan tiles in antique red, along with a dry ridge kit. The chimney was also ground out and re-pointed, as well as the top being re-flaunched and the pots being wire brushed down. Some of the structural timbers were rotting, so at no extra cost we replaced them for the customer. 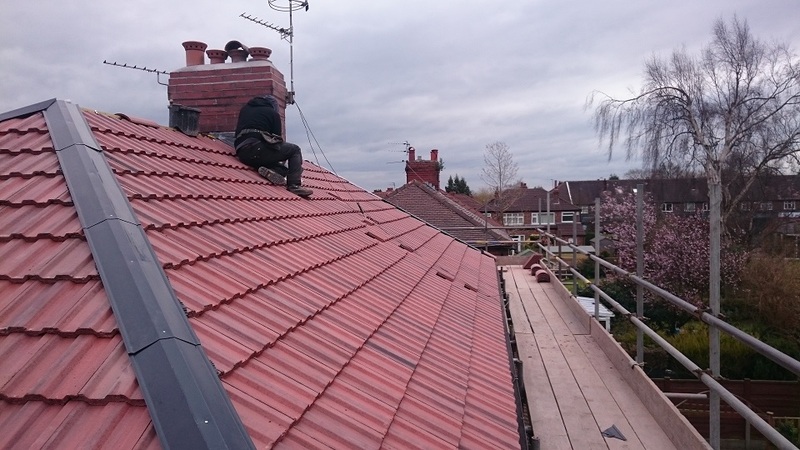 We also made sure the site was cleaned at the end of everyday, just an example of Flute Roofing going that little bit extra to keep the customers happy.